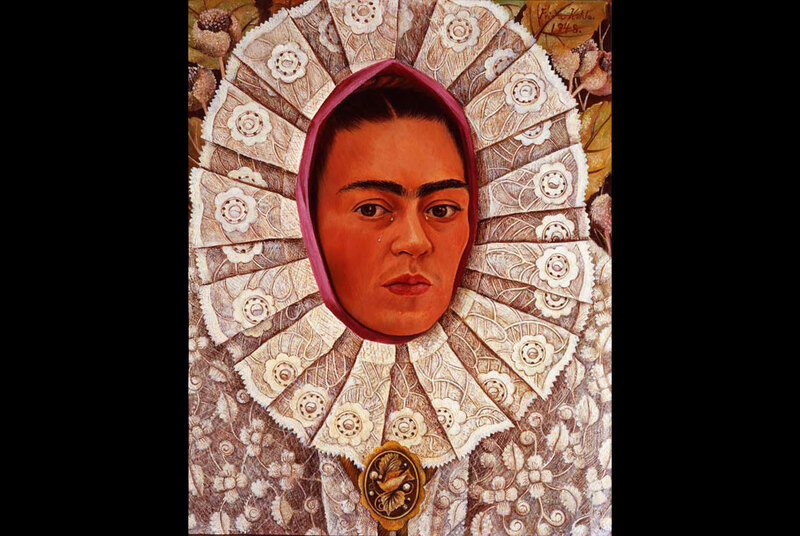 Frida Kahlo, "Self-Portrait with Medallion", 1948. Oil/Masonite. 50 cm x 40 cm. Private Collection. SINGAPORE.- The Singapore Art Museum and the Embassy of Mexico proudly presents "Camino a la Modernidad, The Path to Modernity: Mexican Modern Painting". The exhibition examines the myriad artistic languages that constitute the formation of Mexican modernism. Camino a la Modernidad, "The Path to Modernity: Mexican Modern Painting" is the largest Mexican art exhibition ever held in Singapore and Southeast Asia. "Camino a la Modernidad, The Path to Modernity: Mexican Modern Painting" traces major developments in Mexican art from the 1900s to the 1950s, where Mexican society underwent tremendous changes in social and political spheres that impacted much of its artistic expression. The Mexican Revolution (1910) laid the foundation for a new artistic movement, Mexican Mural Renaissance, which attempted to bridge the class divide in the construction of a national identity and aesthetic, through bringing art to the masses in the form of highly accessible, outdoor public art murals. The exhibition features over 70 works from important Mexican public and private collections, including works by renowned mural artists Diego Rivera, David Alfaro Siqueiros, José Clemente Orozco, Roberto Montenegro, Rufino Tamayo, Maria Izquierdo and Frida Kahlo. The exhibition is organized in three sections: Agents of Change, Charting New Territories and The Graphic Arts. Agents of Change highlight the aspect of artists being conscious of their roles as agents of social change, and many of them were aware of the need for art to be socially-conscious. The second section Charting New Territories shows how the artists attempt to break new ground in their art. We can see this in the exaltation of Mexican landscape as a hallmark of national identity, the development of industrial scenes as a new genre of Mexican landscape painting, as well as the exploration of abstract art by artists such as Germán Cueto, Carlos Mérida and Kishio Murata, as a means of crossing the boundaries of aesthetic definition. The Graphic Arts section presents the artists belief in the idea of art as a communicative tool to the masses, and many of the illustrations here attempt to highlight the issues of the working classes and farming communities. "Camino a la Modernidad: The Path to Modernity: Mexican Modern Painting" is on show at the Singapore Art Museum from 15 November 2009 to 3 January 2010. Arab and Iranian Photography at Paris Photo, Why this Choice?